A few different species of sharks are found while Key West Flats Fishing. 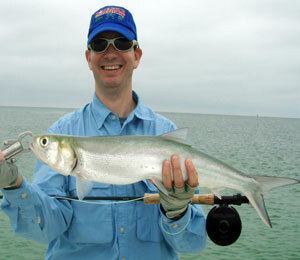 Often fishing for sharks in the flats is more productive than Key West deep sea fishing. These include black tip sharks, bonnet head sharks, lemon sharks, bull sharks, nurse sharks, spinner sharks, and hammerhead sharks. Sharks are on the flats chasing the bonefish and permit. They show up and ambush a hooked fish or are on the prowl. Sharks respond to scent, have poor eyesight and are unpredictable. 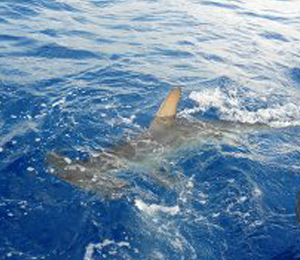 Key West Shark Fishing is available and productive year round in the Florida Keys. 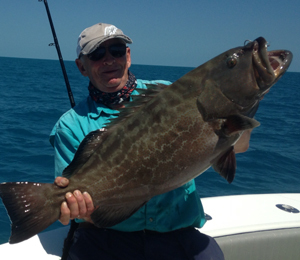 Key West fishing charters are very well versed at catching shark year round, and this is one of the most fun things to catch while fishing in Key West. 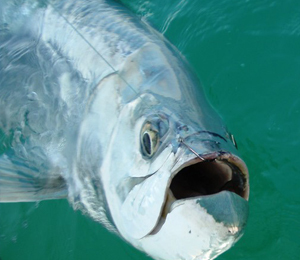 Shark fishing in Key West is done throughout the Florida Keys and they follow the annual tarpon migration which bring in the big boys. Shark are always hungry, and willing to tangle with anyone fishing in Key West. They visit the flats to feed on schools of bait, permit and bonefish. Shark fishing can be done by sight fishing on the flats and respond to top water plugs, cut or live bait. Some guides use a freshly caught barracuda or lady fish and anchor up. They will then hang the butter flied fish off the boat and have the sharks come to the boat by chumming the water. Sharks are extremely strong and have razor sharp teeth so a short piece of wire is a must. Stout spinning outfits in the 20 pound class are ideal. Hook sizes range from 2/0-4/0 circle hooks to avoid gut hooking, therefore a successful release. Fly rods in the 10-12 wt. class are used mostly. Top water poppers work wonders.